Having a long beard is easy because it grows by itself but when it came to grooming your beard everyone starts thinking it’s a hard job. You only think of beard trimmer or shavers and scissor tool kit but actually there are a lot other good stuff to have in your drawer while thinking of growing the beard. In this article we will give you an idea of which tool you should have while grooming a long and attractive beard just like old Vikings. Besides from beard gel, balm and creams there are other tool like trimmers, comb and brush to keep a track of you beard and we will discuss in details why you should have these at side. Whenever you wash your face the hair may not easily get dry and by dry, I mean you can’t get the desired shape of your beard while its still have water on it. For that reason, the first pick you should have a hair dryer, a small one just for your beard. If you don’t want to use gel or balm or your hair just not get along with these creams then definitely you should have a dryer at your side. First wash you beard with beard shampoo and then give it a hot air with your dryer to get all the water soaked up. After your beard hair gets dry then give it a cool breeze with your own style so that the hair may remain on that position. Use the nozzle notch on the dryer so that air focus is on only one side. Dryer helps a lot for those who just grow their beard hairs and now want to shape them they don’t want to use other sticky material like beard balm, gel or cream. Anyone can grow long beard but the hard part is how to maintain you beard with time. 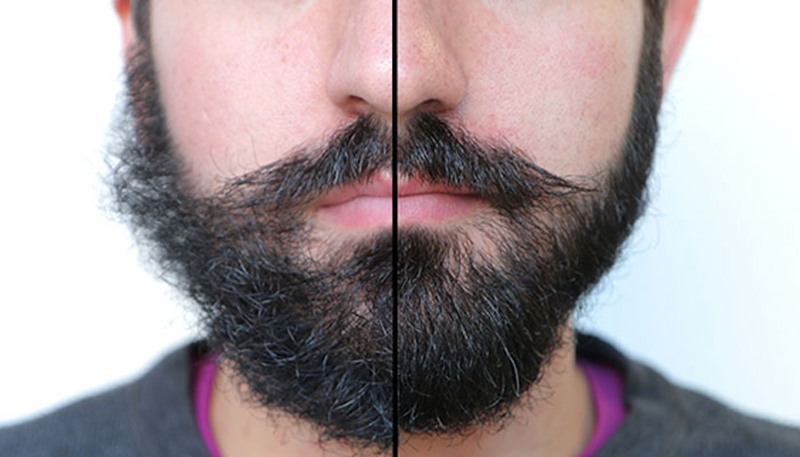 For that reason you need a beard trimmer that can trim your beard just like you wanted. The main benefit of the beard trimmer in both long and short beard is that you have an idea what exactly you want with your beard. Pick the size of the beard you want to keep, think of a style and put the button on the trimmer and there you go with the fine, attractive and newly trimmed beard as you wanted. People with long beard may not have much to do with trimmer but surely they can get the hair aligned with the style you want. More each trimmer came up with different sizers that helps for both long and short hair and you can know on which size you want to grow your beard. There are plenty of beard trimmers for men like Braun, Phillip, Panasonic and all the highest performance and now you don’t need to go the barber if you have the time to trim your own beard. Just like hair oil to keep a healthy hair there are also beard oil that can help to grow strong beard and that’s not the only benefit of beard oil but actually it helps in matching the skin oil with beard oil to keep the itching away once you start grooming your beard. The oil keeps the beard from dryness and remove the beard ruff and there are plenty of different beard oil, all give you different benefit as some keep your beard dry while other keep it brittle just like the old Vikings. After every trim your skin get effected from the blades and beard oil helps to maintain that skin from infection and from getting dry. Well you may have used beard combs but when it came to long beard you should have Beard brush at your desk. Beard Brushes are of different kinds like Round beard brush, Boar hair brush that can help to shape your beard as you want. You want a curly beard or you just want to remove the curly hairs to straight hairs then use these brushes along with hot air of hair dryer. Make curl with round hair brush while giving it a hot air to remain the style till the end of the day or even you can remove the curliness or stickled hair nest with brushes while giving it a hot air. Boar hair brushes help to remove the dust with soft hair on the brushes and also distribute the oil among every hair of your beard. The bristles can help you to remove beard dandruff and also it never damaged the beard hairs due to the smooth of bristles. It’s hard to explain to your barber how to trim your beard unless you guys get along most of the time. But if you want to give your beard your own style and you can do that with having all the stuff like brushes, combs and more importantly Scissors and Clippers. Scissors help to pick the single hair you want to cut and also keep you to maintain the length of each hair as you want to. Sometime long beard has issue like some hair always get off the way and you can simple do that with just in seconds if you have scissors at your side. 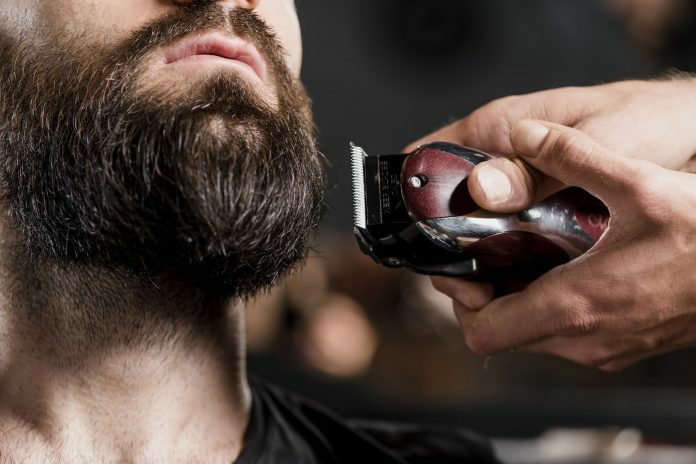 Clippers help to groom your beard on specific size, while some trimmer may have own clipper but there are also some clippers available separately for longer hair trimming purpose and having all those you don’t need to spend fortune for the professional barbers. There are plenty of other tool that can assist you having a long or short beard and also give you the ways or style to shape your beard like creams, balms, gel, oil but these are the recommended and top picks that everyone should have while thinking of grooming the beard.